After the absolute monster of an album that Origin of Symmetry was, it was clear that Muse would have to do something incredible in order to live up to their material. I personally think that in some respects, they definitely did it, smoothing out the rougher edges present and focusing on a much grander sound, replacing many of the scratchy, abrasive tones with a much more symphonic and synth heavy album, with simply amazing production and sound mixing to go along with it. The songs feel much more powerful and intense in general, and quite a few surpass the majority of the excellent songs on Origin of Symmetry as well. Unfortunately, despite this, the album definitely has a few problems that do drag it down, especially when it comes to the often bland, occasionally straight up bad ballads the album contains, along with there being a severe case of top loading, with the majority of the stand out tracks appearing in the first half. The album starts off in an incredible way, showing all that Muse have become, with an intense, dissonant piano line as Matt Bellamy belts out his vocals, before layers of harmonisation come in. In general, Apocalypse Please does serve as an excellent album as well for how much darker it sounds, sounding like the soundtrack to the very moment the world is coming to an end. The song progresses with some excellent synths before falling back into the harrowing, intense main portion of the song. 'Time Is Running Out' is a more laid back, mid paced song that builds itself around a simple beat, with most of the appeal coming from the extraordinarily catchy vocal melody combined with nice, subtle changes throughout, with even the climax of the song being remarkably less bombastic than the average Muse affair. The next few tracks on the album are quite a mixed bag, with some being stunning, and others being quite below average. 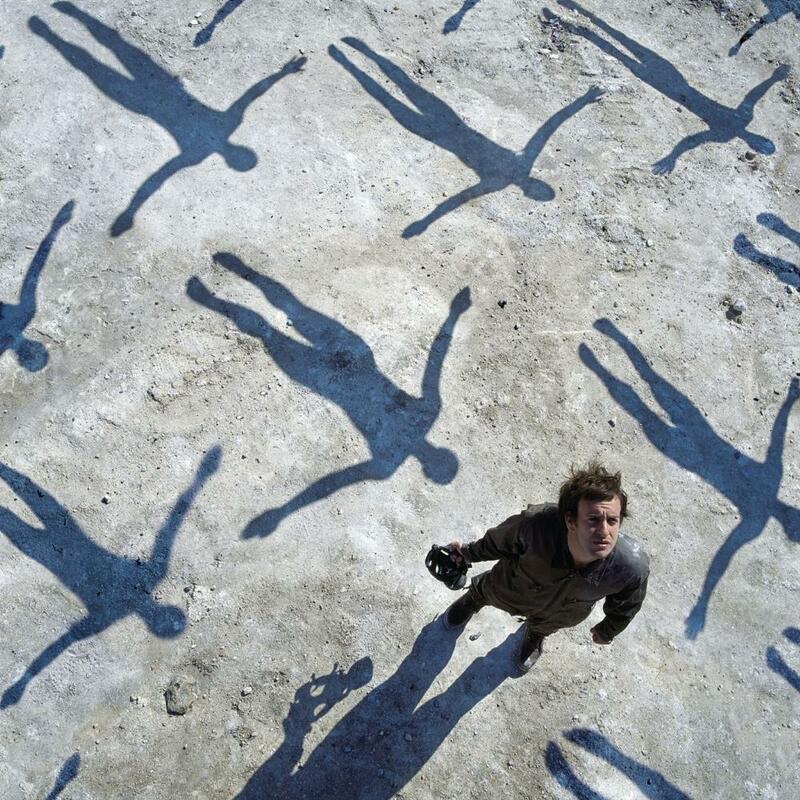 Out of the ballads, I quite enjoy Sing For Absolution for the amazing atmosphere and production, but do find the song to lose quite a lot of its impact due to what I personally find to be an extremely weak chorus that is worse in every way to the bulk of the song. Falling Away With You on the other hand, oh boy, this is in all likelihood my least favourite song from the first 4 or 5 albums of the band, as I find it accomplishes nothing at all, having a shoddy at best melody, and no sort of impact at all in any way other than boring me half to death. On the other hand, two of the better songs by Muse are found here, those being Stockholm Syndrome and Hysteria. These two songs work so perfectly, and while Falling Away With You does break the flow to some extent, these two tracks are such intense powerhouses that it really doesn't affect it as much as you'd first think. Stockholm Syndrome is the band being at some of their heaviest and most intense, with a killer riff, and a constant fast pace that works exceptionally with one of Matt Bellamy's most emotional performances. The way the song proceeds to become even more heavy near the end with a slower, more powerful version of the main riff is also an excellent moment. Hysteria takes on a different approach, instead of building with layers upon layers of noise, instead just having riffs so perfect that nothing can come close to it. The insane bassline combined with the simple, yet incredibly effective riff, making for one of the best rockers of the band's career, by far. What makes this even more impressive to have such an amazing song is just how simple it is, with a standard pop structure and no big surprises to be found, with the entire song just based around some of the best riffs I've heard. Unfortunately, after this, the album becomes considerably more flawed, starting it off with Blackout, a pleasant, but overall dull song that doesn't do too much for me. In general, even the faster paced songs here more in line with Muse's general sound and pace generally have some issues with them. Butterflies and Hurricanes is in general an extremely good song, reminding me of a more controlled, less frantic Darkshines, mostly with the short piano section before each chorus and transition. Despite this being one of the most promising songs on the album, I do find the piano interlude to be disruptive and to just ruin a lot of the flow and power that the song had, which I find to be a massive shame. The other songs are okay for the most part, with The Small Print a really good, fast song, while Endlessly is a really nice, slower paced song that works extremely well, being absolutely beautiful. The album ends quite weakly, with Thoughts of a Dying Atheist being quite repetitive, and Ruled By Secrecy simply being somewhat unmemorable. Overall, this album is absolutely genius in parts, but then quite poor in others. The rating for this one was really difficult to figure out, as I was jumping between a 3 and 4 for quite a while, but eventually settled on a 3, as while there are some tracks of pure greatness, most of the stuff past Hysteria is fairly unimpressive, and Falling Away With You is frustratingly poor. That said, the overall darker, more grandiose tone of the album is something I'm definitely a big fan of, and if this album were trimmed down a bit and refined, this would probably be an album I enjoyed even more than Origin Of Symmetry. Verdict: If you like really bombastic, dramatic music, you'll probably find some enjoyment in this album, as despite some bumps along the way, the album does have some genuinely incredible songs that are just unfortunately balanced out by mediocrity. That said, I do think that if you're looking for something like what has been described, you should check this out at least once, because it's far from bad.